Well, I don't usually do a lot of shoots in Zion, just because Snow Canyon has my heart, but this specific place had sentimental value. 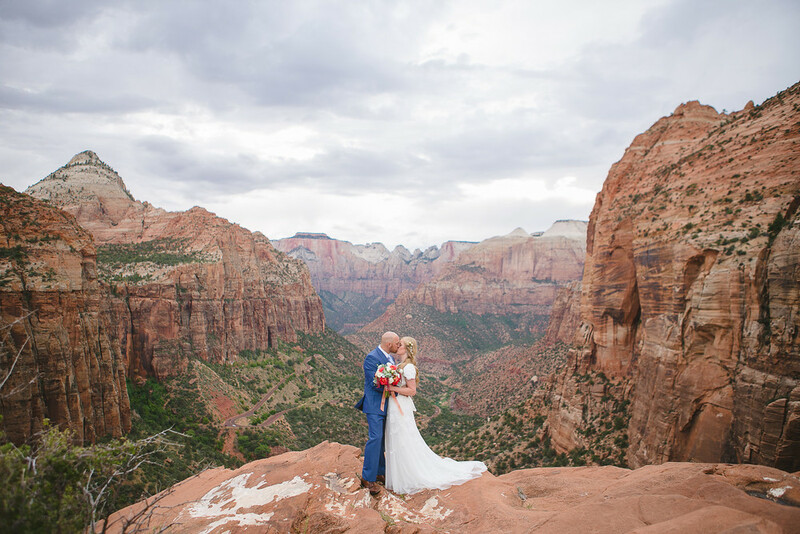 Jordan purposed to Courtney here and the view is seriously BREATH-TAKING! We hiked about 45 minutes to this spot, and Courtney put on her dress up there, and we did a first look with Jordan. 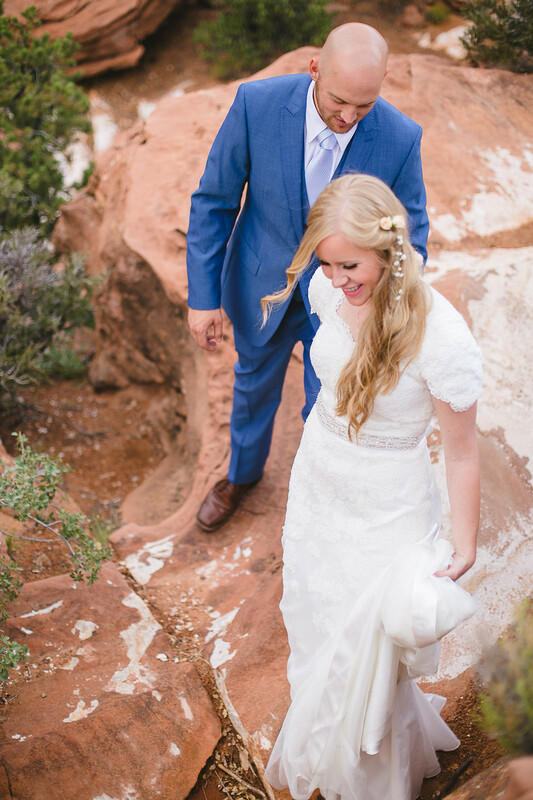 The details in this shoot are so perfect, and that backdrop will make anyone SWOON. The flowers are extremely gorgeous, by Bloomers, and Courtney is so lucky to have Kelli Miller (whom is a hair and makeup Goddess) be her new sister in-law, and do her hair and makeup for all her shoots. I am in love with how these turned out, and they were DEFINITELY worth the hike.